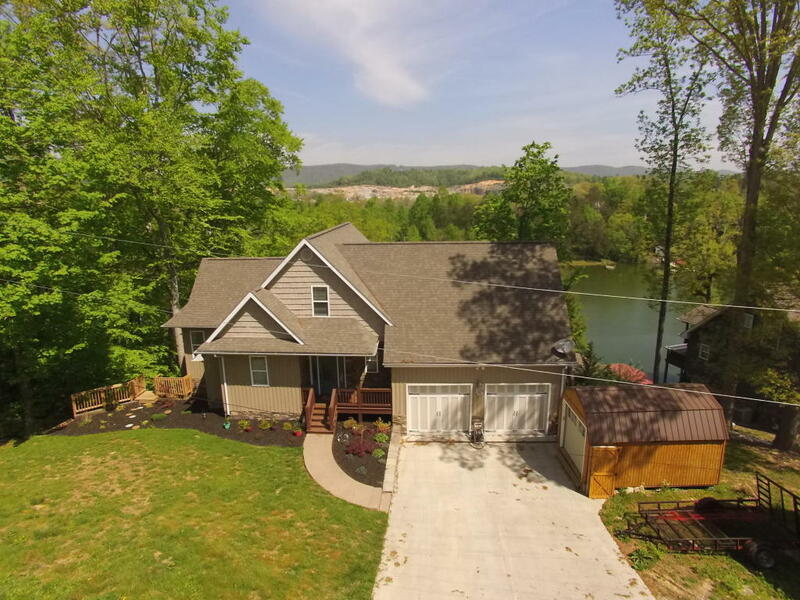 Don't miss out on the year around water LAKEFRONT home that is just minutes off I-75. Spend time relaxing and playing, NOT driving. Home features an open floorplan, large kitchen with shaker style cabinets, granite counter tops, glass subway tile backsplash, hand scraped hardwood floors, 3 Bedrooms that have en suite baths, 2 additional bedrooms, large basement den AND recreational area plus a great bar for watching the games or just hanging out. Double decks overlooking your private one slip covered floating dock with a 6,000 lb. lift (TVA Permit on File-could request larger dock). Don't forget the garage is big enough to store your cars or your boats and has a concrete drive. Just minutes to Twin Cove Marina for all your lake needs. You won't find this convenience and amenities often!